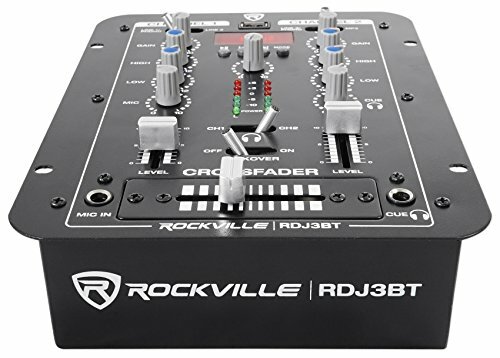 Rockville RDJ3BT compact 2 channel DJ mixer with USB, Bluetooth, and LED display. Selectable Inputs for channel 1 and channel 2. 2 Channels. Adjustable high, low, and gain knobs on each channel. Mic volume control. 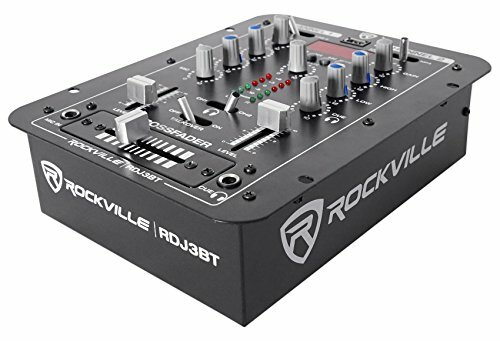 The Rockville RDJ3BT is a compact yet powerful DJ mixer with built in bluetooth. 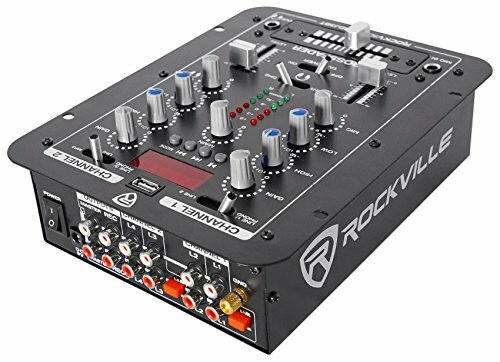 It has 2 channels with separate gain, bass, and treble controls. 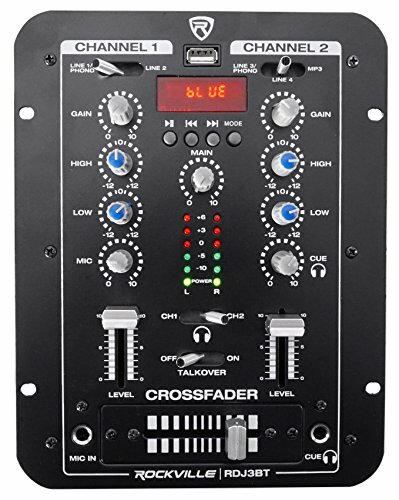 The main advantage of our mixer is that it is made with premium materials and offers extremely high quality sound. 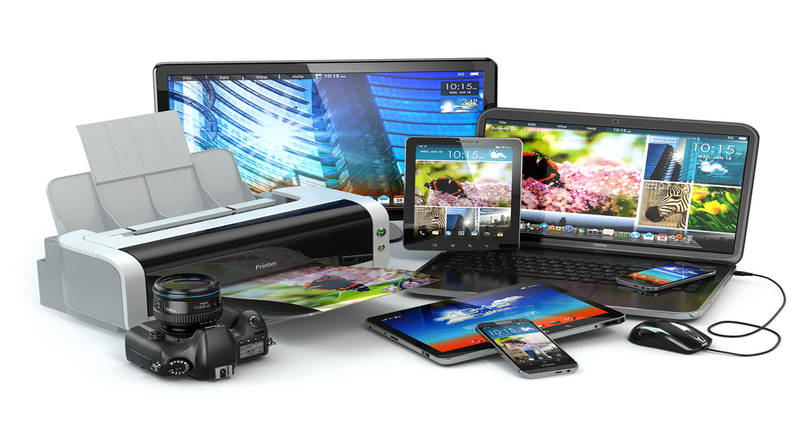 It is built extremely rugged and tough so it can withstand abuse without skipping a beat. 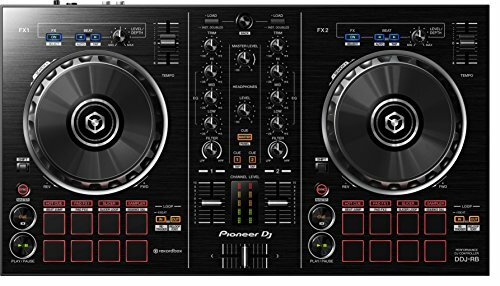 We added a USB input and Bluetooth along with LCD display so you can quickly play back MP3 tracks through the mixer. 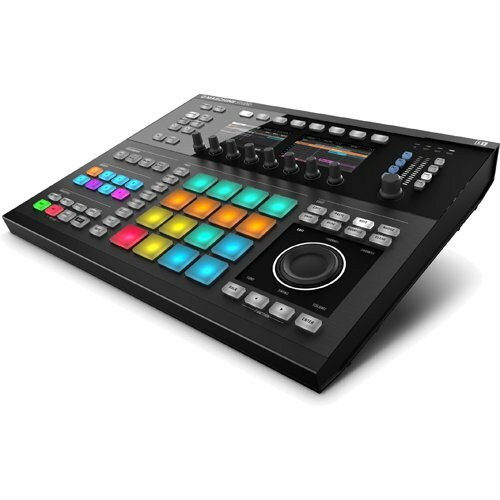 Other advanced features are talkover, cue controls, and a switch on the front panel to select which inputs you want to use for channel 1 and channel 2. 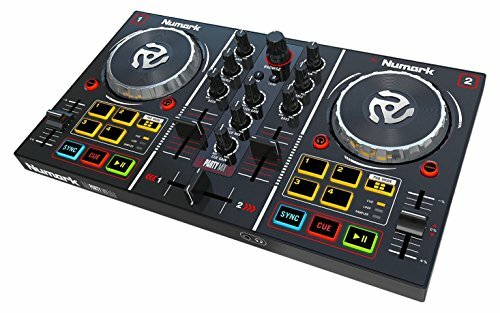 If you want a DJ mixer with top sound, top features, that is built with top components in a rugged metal housing, then this is it! Equalizer: Bass + 12dB 60Hz / Treble + 12dB 10KHz. Channel 1/2 Cue monitor control. Individual volume control. Master volume control. Channel 1 and 2 fader and cross fader. 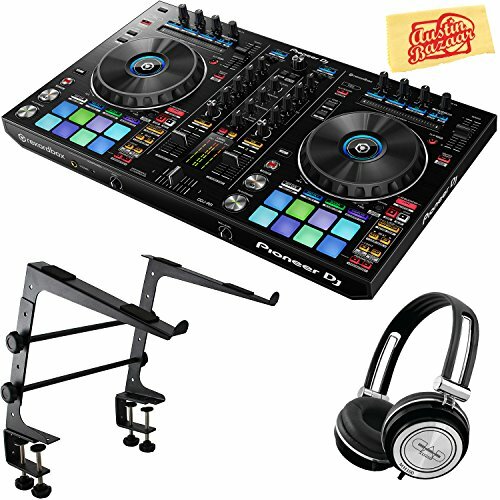 Built in USB and MP3 player with LCD to play back tracks. Built in Bluetooth for hands free music playback. Talk-over: -16dB. Distortion: ≤ 0.05%. Signal/ Noise ratio: > 80dB. 1 1/4″ Mic input. 1 1/4″ Headphone output. 4 RCA L/R Line inputs. 1 RCA L/R Master amp output. 1 RCA L/R Rec output. 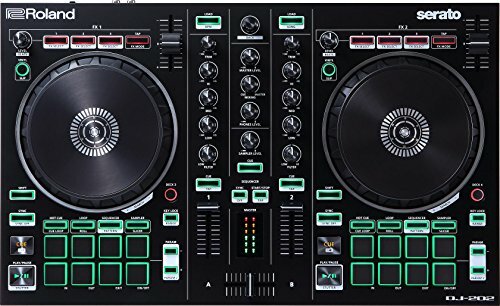 You can ground your turntables to the mixer. Dimension: 7 x 8.85 x 2.4 inches. Weight: 3.08 lbs.